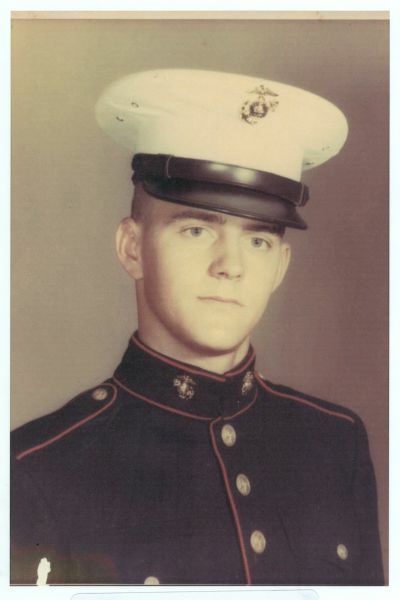 US Marine Corporal Verrell Daniel Stiles was born August 6, 1947, the son of Mr and Mrs Harry Stiles of Brevard, NC. He was in the 1st Marine Division, 7th Engineers, A Company, in DaNang. He was killed, along with 12 others, during a class room instruction when an anti-personnel mine exploded on March 28, 1967. He was a graduate of Brevard High School and a member of Grace Baptist Church. In addition to his parents, he was survived by three sisters and two brothers. His sister Vanessa Stiles Payne has worked for over 20 years to obtain a Purple Heart in her brother's honor, and also Purple Hearts for the other 12 who were killed in the same incident. Along the way, though she has received denials from the government, she has encountered some incredible veterans who have joined her in her quest. In fact, a Vietnam veteran in Macon, Georgia, who was wounded twice in Korea and twice in Vietnam heard of her efforts, and decided to give up his Purple Heart medal so that Stiles could have one (see link to news article about this).